I was going to call this blog “the Young Turks of Chablis,” but that would not have been quite accurate since change is not so much coming from a younger generation as from producers who have simply rethought what sort of wine they want to make. The common feature lies with people who established domains relatively recently, sometimes turning around old family domains with a change of generations, sometimes starting from scratch. Chablis seems to me to have shown less change than other areas of Burgundy over the past twenty or thirty years. Whereas on the Côte d’Or there has been a steady move towards growers bottling their own wines, and recently “micro-negociants” have become the form of expression for producers who do not own vineyards but want to make high quality wine, in Chablis there remain many small growers who send their grapes to the cooperative (admittedly La Chablisienne is one of the best co-ops in France). Large producers from Beaune have not made a huge impact in Chablis, although Drouhin-Vaudon is long established, Louis Latour bought Simonnet-Febvre in 2003, and Faiveley bought Billaud-Simon in 2014. 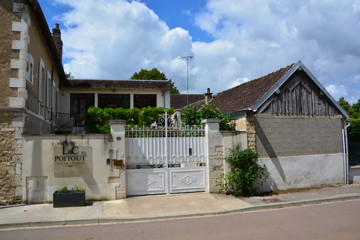 Land prices in Chablis have not soared in the same way as the Côte d’Or, but fragmented holdings and unwillingness to sell have restricted supply, so it has not been easy for new producers to come into the market. However, in the past few years there have (finally) been some changes, and visiting this week, I found several (relatively) new, dynamic producers. I found the first Young Turk on a previous visit in 2014 (A Visit to Patrick Piuze). 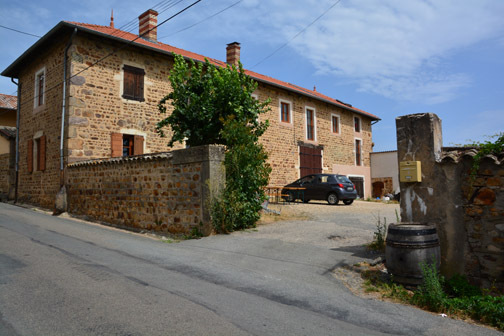 Patrick’s driving force is interest in the variety of terroirs. “The essence of the place depends on the mosaic of soils, when you realize this you want to make lots of cuvees not just one. Most people here blend, they don’t worry if the vines are old. We try to buy grapes we like from special sites. I want to be as close as possible to a domaine without having to purchase land.” A bit tight when young, his wines have real intensity, with alcohol levels a bit lower than average. 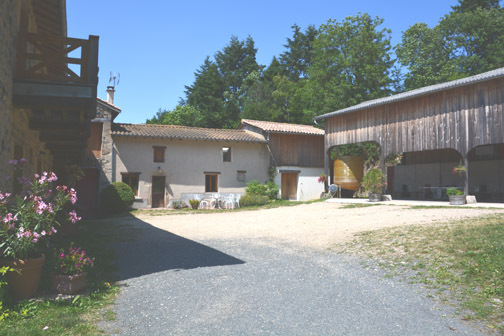 My first visit this week was to Catherine & Louis Poitout, who have set up their domain in an old building on the banks of the Serein. 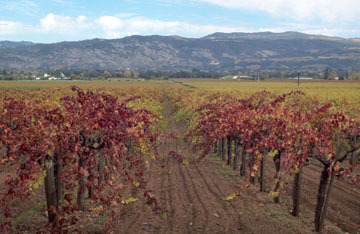 The domain started in 2011 with family vineyards from both sides. There were many small parcels of varying qualities, and in 2012 the holdings were rationalized. “The true taste of Chablis is mineral, with the most simple vinification,” says Louis. “We do the same vinification for all cuvées. There is never any wood, everything is kept as simple as possible.” The range extends from a direct and fruity Petit Chablis, to Chablis Bienommé where minerality begins to emerge, Chablis Les Venerées from old vines, offering increased sense of texture, and premier crus Vaucoupin (all minerality) and Les Fourneaux (herbal and round). The Pitout domain is in a charming old house on the banks of the Serein. But the most unusual Pitout wine may be the Vin de France, Franc de Pied, L’Inextinct, which as its name indicates, comes from very old, ungrafted vines. “We found this parcel in 2012, it was in very bad condition, the vines had been cut across at the base, and everyone thought they would die because they’d been cut at the graft, but they just regrew. They are ungrafted and we regenerate them by the old method of sticking a shoot in the soil. The wine is labeled as Vin de France because it doesn’t fit our idea of Petit Chablis, and it’s not in Chablis AOP.” It offers great sense of fruit purity, with richness on the palate, but retaining the liveliness of Chablis. 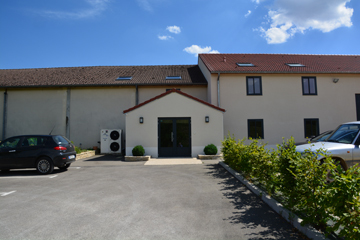 Nathalie & Gilles Fèvre constructed their winery in the heart of the vineyards at Fontenay-près-Chablis. 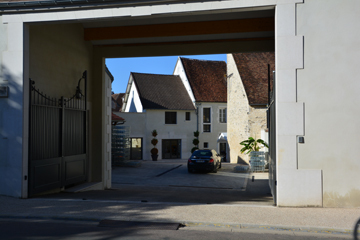 Samuel Billaud spent twenty years making the wine at the family domain, Billaud Simon, sold to Faiveley in 2014, before leaving to form his own domain, which is now located in renovated mediaeval buildings right under the ramparts of Chablis. The very stylish cuverie has many small stainless steel fermenters to allow vinification by parcel. He has a few family vineyards but also buys grapes as a negociant. His bright style brings out lively citrus flavors across the range, starting with a Petit Chablis coming from a vineyard that used to be considered at premier cru level long ago but was not included in the AOC. The same style follows in a Bourgogne that is a blend between the areas of Chablis and Mâcon, and then the style intensifies in the Chablis. There’s increased sense of focus and precision in the premier crus, increased richness moving from left bank to right bank, and then from premier cru to grand cru. There’s consistency of style, with greater texture and flavor variety, and more subtle impressions, moving up the range. 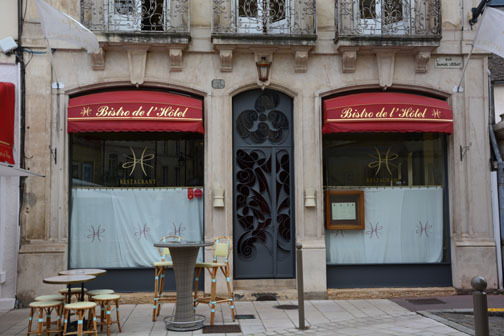 Samuel Billaud’s domain is a cluster of old buildings around a courtyard in the center of Chablis. My last visit in Chablis was to Thomas Pico who created Domaine Pattes Loups with only two hectares of family vineyards when he decided that he wanted to be organic, but his father, at Domaine Bois d’Hiver, didn’t want to make the conversion. Today Thomas has about 12 ha for Pattes Loup (with roughly an equal area remaining in Bois d’Hiver). Even allowing for the fact the most of the wines were tasted from cuve, because the 2015 vintage is undergoing an unusually long élevage, these were among the most concentrated and forceful wines I tasted in Chablis. Fruits tend to citrus, bright and intense. It takes about a year for the wines to develop roundness; the 2014s are just beginning to soften. Thomas is committed to an artisanal approach. My companion, the Anima Figure, remarked that winemaking has become more scientific. “No it hasn’t,” Thomas shot back. 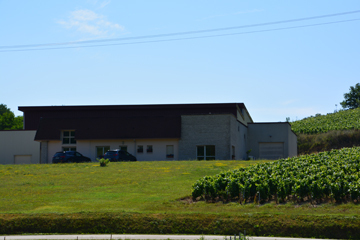 Thomas Pico has a modern building for Domaine Pattes Loup in the village of Corgis. Each of these producers has their own style, of course, but the common feature is a sense of authenticity, a commitment to a view of the typicity of Chablis that preserves freshness and minerality. It’s a wonderfully refreshing antithesis to a general tendency to make all wines taste the same, with vaguely amorphous soft aromatics that can be attractive but don’t convey a sense of place.